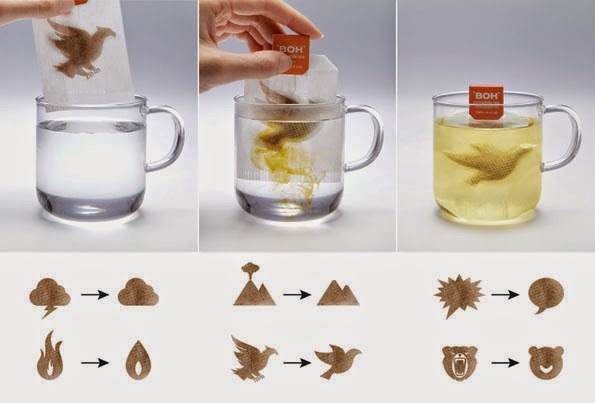 These are transforming tea bags. One starts out as a stressful symbol that changes to a calmer version once you put it in hot water. Smart! 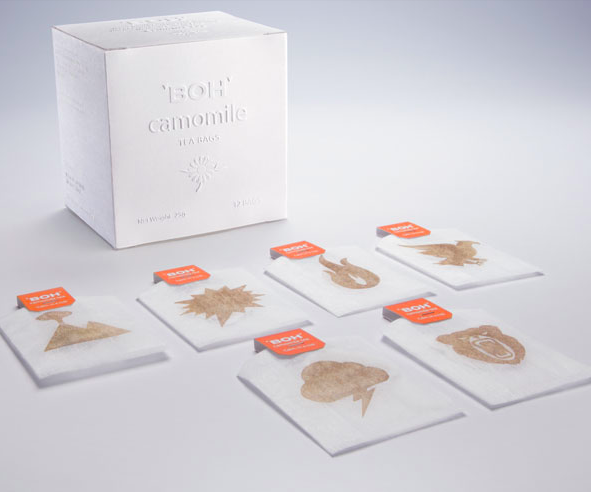 They were created by ad agency M&C Saatchi for tea company BOH, who was hoping to convey their chamomile tea has a calming effect.